Miao Xiaochun 缪晓春 (born in 1964 in Wuxi) is a Beijing-based multidisciplinary artist who plays a fundamental role in the Chinese photography world, inasmuch as he has been relentlessly expanding the boundaries of photography into the realm of new media. 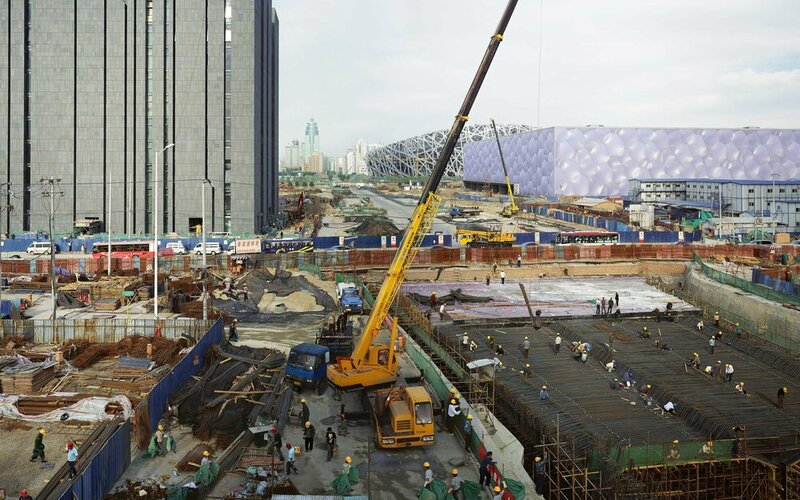 New Urban Reality (2004-2008) focuses on the rapid changes that Chinese cities are facing nowadays. His large, colourful and complex photographs sometimes combine different moment with the help of digital technology. Rather phantasmagoria than faithful documents, Miao’s photographs question the incompatibility between ancient and modern, oriental and western, faithfulness and simulacra, and eventually convey a different sense of reality.